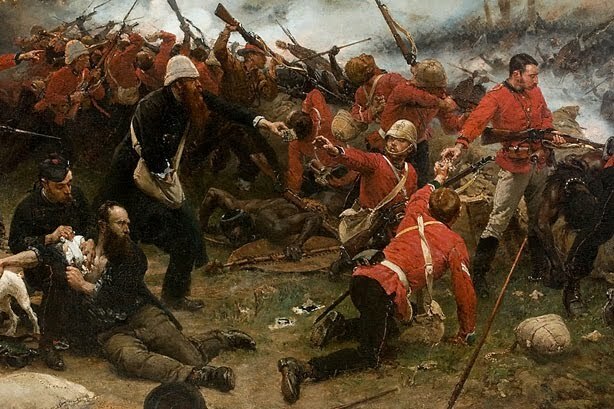 While every schoolchild learns about the British Empire, it seems a common modern-day political malady for adults to believe that reality is organized as their history books were in school – in neat well defined chapters. This leads to the common misconception that the age of imperialism is somehow a closed-chapter in human history. Unfortunately, this is far from the truth. Imperialism did not go extinct. It simply evolved. Imperialism is alive & well. 1. Siam granted extraterritoriality to British subjects. 2. British could trade freely in all seaports and reside permanently in Bangkok. 3. British could buy and rent property in Bangkok. 4. British subjects could travel freely in the interior with passes provided by the consul. 5. Import and export duties were capped at 3%, except the duty-free opium and bullion. 6. British merchants were to be allowed to buy and sell directly with individual Siamese. 1. 100% ownership of Iraqi assets. 2. Full repatriation of profits. 3. Equal legal standing with local firms. 4. Foreign banks allowed to operate or buy into local banks. 5. Income and corporate taxes capped at 15%. 6. Universal tariffs slashed to 5%. 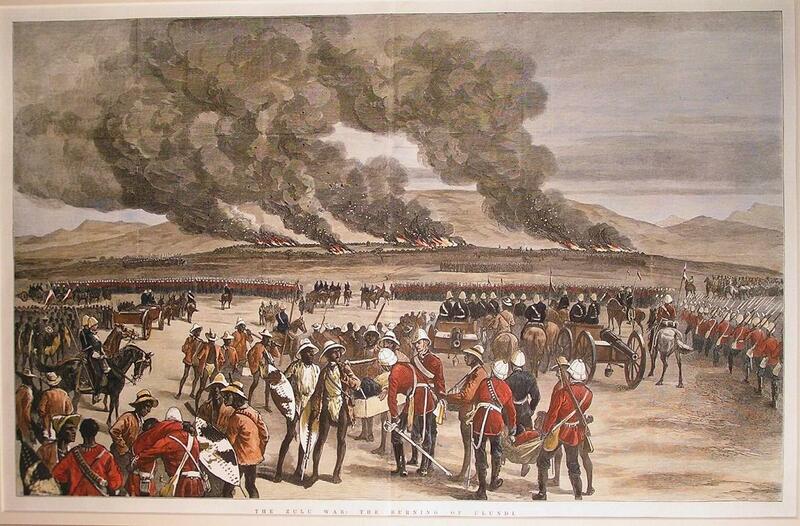 Image: The Anglo-Zulu War. 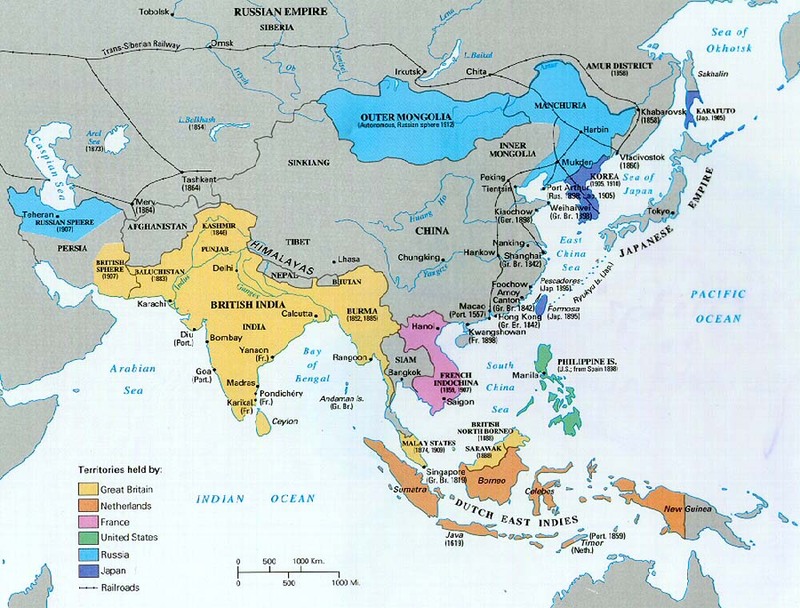 Causus belli– diamonds & imperial expansion. And just as the British did when they found diamonds beneath Zululand during the late-1800’s, spurring them to invent a causus belli to justify the destruction of the Zulu Kingdom, the schemers of modern-day global imperialism likewise invented a dubious pretext to invade Iraq before commencing its plundering. At the conclusion of the Anglo-Zulu War, the British despoiled Zululand, divided it into 14 separate cheifdoms, each led by a proxy obedient to the British Empire. The British ensured that these 14 cheifdoms harbored animosities toward one another and fostered petty infighting between them to ensure British interests would never again be challenged by a unified Zulu threat. Today we see what seems to be the “accidental” consequences of military interventions leadeing to vicious, protracted fighting and in some cases civil wars, in Iraq, now in Libya (which also had a direct proxy installed as PM), Pakistan where plans exist to literally carve up the nation Zululand-style, and Syria. These are not accidental but intentional. Divide and conquer is a classic military stratagem that has not escaped the interests and attention of Wall Street & London. If people can study history and see today’s events are simply the relabeled repeating of what empire has been doing for centuries, the public as a whole will be less likely to go along with what is in reality an exploitative, murderous crime spree of global proportions – merely sold to us as justified intervention. One need only look at how Iraq has been despoiled and the profits that have been garnered by Fortune 500 corporations, while soldiers and Iraqis alike pay the price with their minds, bodies, blood, futile destinies, and lives. A book of invaluable use in understanding British imperial administration is “Colonial Georgia: A Study in British Imperial Policy in the Eighteenth Century.” Published by the University of Georgia Press and written by Trevor Reese, it successfully endeavored to illustrate “practically every facet of British colonial policy” using Georgia as a case study. The colony of Georgia, in what is now the southern United States, was founded by what is essentially a proto-NGO – and in this case an organization dedicated to “prison reform.” What it really did, was assess suitable prisoners in London who could be sent to Georgia to fulfill the needs of the Crown. Beginning as the “Associates of Dr. Bray” and later becoming the “Trustees for the Establishment of the Colony of Georgia in America,” or simply the Georgia Trustees, it encapsulates perfectly the use of noble-intentioned networkers to exploit human tragedy for the benefit of the elite. Image: One face of the Georgia Trustee’s seal. 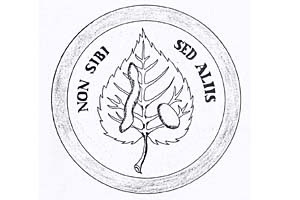 It featured the Latin motto, “Non Sibi Sed Aliis” which means, “Not for self, but for others.” Truly a proto-NGO, a “system administrator.” The significance of the mulberry leaf, the silkworm, and the cocoon? The silk that Britain’s new colony of Georgia was going to export to London to enrich the empire. “For others” indeed. 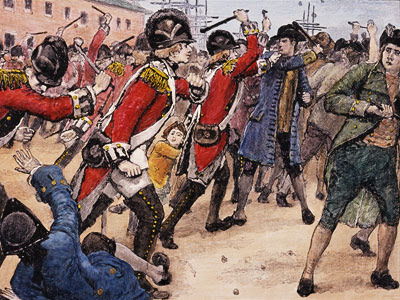 While many may argue that prisoners in London were better off being shipped to Georgia, the underlying point is the dictation of one’s destiny for the benefit of another, regardless of whether or not such exploitation results in a thriving new life in Georgia, or death defending British expansion in the New World. The same cost/benefit analysis could also be made for slavery, but done so in spite of its essential immorality. Protestantism for England was also a precursor to modern day NGOs. Religious denominations were divided directly along political lines in 18th century Europe, and when shiploads of Protestants were sent to Georgia, so followed the political networks they represented. Again, noble-intentions were, and to this day are, in the forefront of many devoted to these political functionaries, and much good has been done in their names, but ultimately the purpose of each empire’s church was to establish a bottom-up network of people who believed they were fulfilling noble, higher intentions, when in reality they were simply serving the elite of their respective empires. Unfortunately, despite the noble intentions and great works of many of these people, when the time came for the Crown to use these networks for less than noble causes, organizational indoctrination was used to marshal men to it. And just like modern NGOs today, Protestant organizations interfaced with and supported directly the primary regional administrators, in Georgia’s case, the Georgia Trustees. In Reese’s book, he even notes on page 21, “in sanctioning the Georgia project the British Government was not motivated by any such charitable intentions as inspired the Trustees. The Ministry was not much interested in the plight of insolvent and unemployed debtors, but it was concerned about the defense of the empire.” Similarly today, NGOs have truly dedicated people “inspired” as the “Trustees” were, but ultimately they are carrying water for their sponsors, who almost always end up being George Soros, the OCED, the US State Department’s National Endowment for Democracy, and other purveyors of global corporate-fascist imperialism. This, within the contest of mercantilism – essentially the exportation of raw materials from the colonies, which would be refined in Europe, and then imported back into the colonies as manufactured goods – meant servile dependency, both politically and economically – despite the fact that even then, many features of “democracy” could be found throughout the colonies. 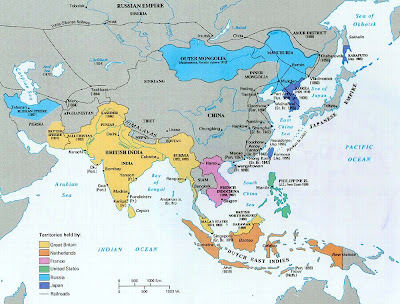 Today’s concept of “free-trade” agreements ensure that resources, manufacturing, refinement, and consumption are equally interdependent on a global scale despite the fact that technology now exists to make any state or province, let alone nation, fully independent economically. Image: Despite the good intentions, the religious causes, and loyalty to the crown, the ultimate destination of all these good intentions wrought was the “Board of Trade” which managed the unending flow of wealth out of Britain’s colonies and into London. Like NGOs of today, the administrative networks that made up the British Empire were in many cases entirely dependent on grants from London, as local contributions were almost never adequate. Reese notes on page 39, “constant need of money made the Trustees permanently dependent on Parliament, without whose support their colony could not be maintained.” The British Empire maintained a careful balancing act to ensure that its networks received enough resources to fulfill their purpose, but never enough to become independent. 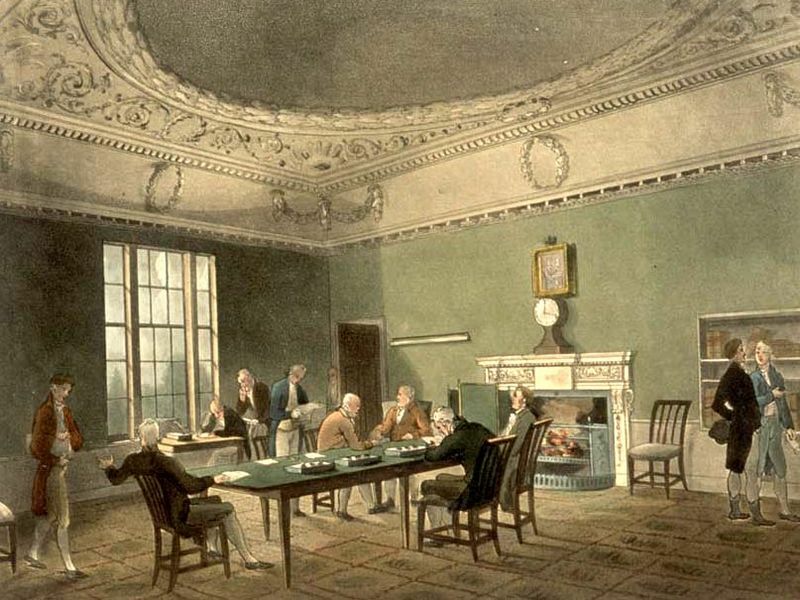 Financial policy conformed to imperial standards and while local policy was set by local administrators, it interlocked with the Board of Trade back in London – just as local NGOs now interlock with international organizations in accordance to rule and norms defined by international institutions. One takes down the existing networks of targeted nations through air campaigns, special operations, or invasions, and consists of military assets including armor, fighters and bombers. The other consists of system administrators who then build upon the ashes left by the “Leviathan force” or the chaos sown by a foreign-backed destabilization. The system administrators consist of everything from NGOs, international organizations, and contractors, to civil affairs officers (psychological warfare), and when necessary, soldiers and Marines. Barnett warns that if anyone attempts to interfere with the construction of the West’s “system administrator” networks, the “Marines are going to come over and kill you.” This perhaps like British garrisons did to tamp down dissatisfaction amongst their colonies. Video: Special Operations Command is looking for more “autonomy” in deploying where “intelligence and global events indicate they are most needed.” This “loosening of rules” was part of building the double edged sword of neo-imperial conquest, the global army & system administrators. Additionally, between 2008 and 2011 before the outbreak of the Arab Spring, the US State Department and its network of global facilitators embarked on a campaign to raise a literal army of NGOs and opposition groups to begin overthrowing governments and building the very global administration network Barnett presented at TED. It was just recently reported in, “Soros Big-Business Accountability Project Funded by Big-Business” that a similar army of NGOs is being mobilized to erect system administrators focused on managing the resources of targeted nations. Called Revenue Watch, and focused primarily on Africa and Southeast Asia it represents the “system administration” approach complimenting aggressive moves made by AFRICOM in Africa, and the declaration of America’s “Pacific Century” in Asia. It is quite clear that Barnett’s proposal doesn’t necessarily need the “US-enabled Leviathan force” to tear down targeted networks as seen in the US-funded Arab Spring. Fomenting unrest, up to and including armed insurrection falls short of overt military intervention and utilizes assets Barrent descibed in the Levithan force such as “trigger pulling” special operations, as well as civil affairs units, NGOs, and contractors from the system administration side. In Libya for example, NGOs and civil affairs advisers began the unrest in February of 2011 while weapons were covertly moved in to arm fighters to overthrow the Qaddafi government. International organizations like the ICC were used to poison public opinion against the Libyan government using information supplied to them from NGOs, while NATO began preparing for a full scale air campaign. Once the bombing began, it was only a matter of incrementally increasing the torrent of special operations forces, arms, and other facilitators to fill in the void left by NATO’s relentless air campaign. Thus the forces of Leviathan and the system administrators worked in tandem, one clearing a path through the old, the other building new networks to facilitate the installment of long-time US resident and Petroleum Institute chairman, Abdurrahim el-Keib, as PM. In nations where military options like this are not an option and would be difficult if not impossible to ever justify, like Thailand for example, the full weight of Wall Street and London’s support is thrown behind system administrators and suitable opposition movements that will make appropriate proxies if the targeted sovereign networks can be torn down. 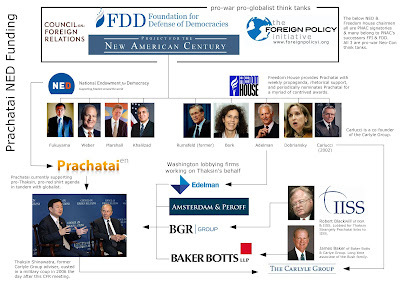 In Thailand’s case, that proxy is Thaksin Shinawatra, a former Carlyle Group adviser, and recipient of extensive US backing, including lobbying services from fellow Carlyle member James Baker and his firm Baker Botts, Bush’s personal envoy to Iraq Robert Blackwill of Barbour Griffith & Rogers, and PNAC signatory Kenneth Adelman of Edelman. During Thaksin’s term in office from 2001 until a coup ousted him in 2006, upon the eve of which he was literally reporting to the Council on Foreign Relations in New York, he had committed Thai troops to the US invasion of Iraq and allowed the CIA to use Thailand for its abhorrent rendition program. He now currently leads the forces of a “color revolution,” the stand-ins for Barnett’s occupation force, since such a Western force is untenable. This included his documented use of armed militants in 2010 during an attempted insurrection. They are billed the “red shirts” or United Front for Democracy Against Dictatorship (UDD) and have met with Soros’ Open Society-funded Human Rights Watch, the National Democratic Institute for International Affairs (NDI), National Endowment for Democracy (NED), and the U.S.–ASEAN Business Council in an April 2011 Washington D.C. visit. There are also circles of academia being produced to support efforts to undermine and overthrow Thailand’s sovereign indigenous networks, most notably “Nitirat” or the “Enlightened Jurists” whose audiences consist almost entirely of Thaksin’s red shirts, and even included Thaksin’s US registered lobbyist, Robert Amsterdam sitting in the front row. 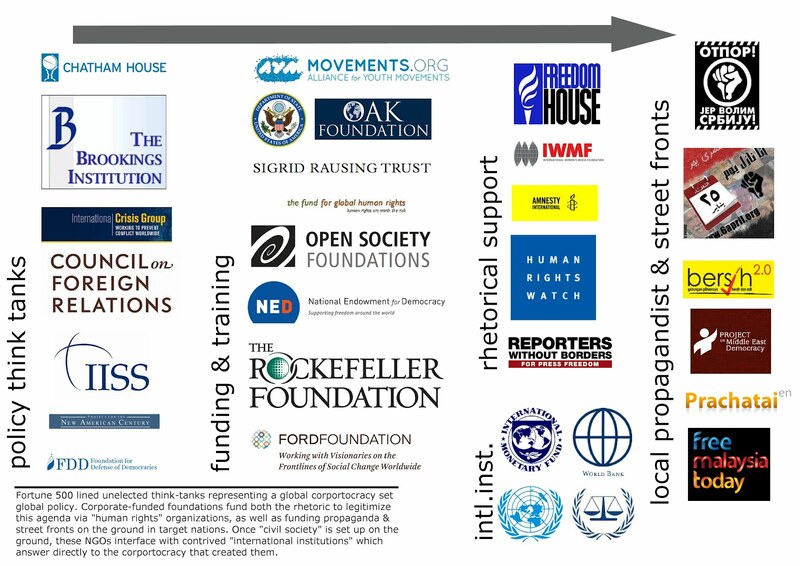 Finally there are the NGOs like propaganda outfit Prachatai, which receives 1oo’s of thousands of dollars a year from the US State Department via the National Endowment for Democracy, George Soros’ Open Society, and USAID. NED also funds the Campaign Committee for Human Rights, the Cross Cultural Foundation (CrCF), and the Environmental Litigation and Advocacy for the Wants. In addition to sharing the same foreign sponsors, each cross-posts the other’s work, each signs petitions on the others behalf and each perpetuate identical agendas. While their mission statements claim to promote “freedom,” “democracy,” and “human rights,” one cannot help but wonder how they reconcile the backgrounds of their sponsors and the “international” organizations they interlock with, with the causes they allegedly promote, with the work they actually carry out. The National Endowment for Democracy and its subsidiary Freedom House features boards of directors much resembling a revolving door, with current and former members of Congress, the US State Department, corporate lobbying firms, and corporate board members of some of the largest corporations on earth including Exxon, Boeing, Ford, and Goldman Sachs constantly shifting in and out of government, big-business, and NGO positions. They are, just as the British were, “not motivated by any such charitable intentions,” as inspire the well-intentioned people drawn into the cause of NGOs like Prachatai they fund. Their hope is to eventually diminish the power and influence of Thailand’s own indigenous networks, by gradually building up the capacity of Wall Street & London’s system administrators. Just like in the example of Georgia, ignorance and good intentions are used to swell the ranks of these networks, and just like in Georgia, they are kept purposefully dependent on the constant and substantial support provided by Wall Street & London, as local contributions are almost never enough. And while many of these people may believe they are committed to a “higher cause,” they are simply soldiers of another kind within an imperial system perfected over centuries of trial and error. The activists on the ground may be of genuine good-intentions but surely there are some who realize the conflict between their stated mission and the insincere intentions of those funding them from abroad. Just like the army, this system of NGOs perpetuates itself on the ignorance of the general population – of those drawn in by their good intentions to contribute to what they believe is a noble cause, and those throughout society who see these networks spreading across the planet with no idea of what their true purpose is. While today’s media is able to project images onto our perception of what an NGO is, with pictures of smiling Africans clutching bags of USAID rice, thriving wildlife, and sprouting, dew covered seedlings, in reality it is a centralized operation built to tear down the old world, and replace with a new one. One that does not answer to the people that inhabit it on anything but the most superficial of levels, but rather to the people that rule over it – the monied elite, as they always have, with the most vicious feeding their competitors ruthlessly into their maw and gladly expanding into the place left at the table. Empire requires subjects to be preferable ignorant, easily manipulated, indoctrinated in a manner that motivates them to carry out their necessary function within the empire reliably. They need subjects that believe in the empire and most importantly, they need subjects who are hopelessly dependent on it. It is no coincidence then that nations declared their “independence” from England in pursuit of their freedom. Before the great battles of the American Revolution took place and the victory that followed, the Founding Fathers took it upon themselves to declare their independence not only by writ, but also by action. 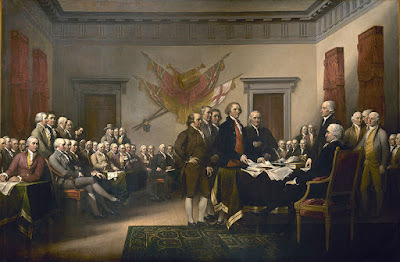 Our Founding Fathers ceased the import of British goods, they created their own monetary system, they assembled their own militias, and most importantly they formed their own government based upon their own values, not King George’s self-interest. “These organizations represent the collective interests of the largest corporations on earth. 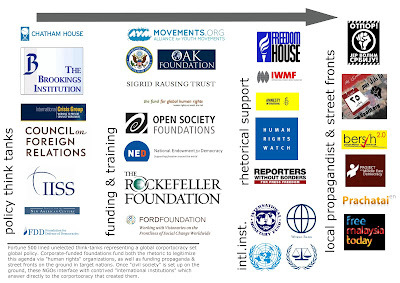 They not only retain armies of policy wonks and researchers to articulate their agenda and form a consensus internally, but also use their massive accumulation of unwarranted influence in media, industry, [across a global network of NGOs,] and finance to manufacture a self-serving consensus internationally. This is confirmed in a talk given by Noam Chomsky in 1993, where he stated or the National Endowment for Democracy’s work, “it’s an attempt to impose what is called democracy, meaning rule by the rich and the powerful, without interference by the mob but within the framework of formal electoral procedures.” Quite clearly it is, along with Open Society, and the vast network of system administrators being built up across the planet, working in witless tandem with NATO, building in the swath of destruction it leaves behind the homogeneous workings of a global corporate-financier-run empire. On a daily basis, across the planet, billions of people witlessly pay into this empire, buying their products, paying them their attention on diversions like TV, radio, and at the theater, and participating in systems, organizations, and causes that like the “Georgia Trustees” may have started out working for prison reform, ended up handing the empire another thriving colony to exploit. It is clear then that vast campaigning, elections, rallies, and protests are not necessary or even viable options in dismantling this system – rather our daily decisions to boycott their corporations, pull the plug on our TVs, switch off the radio, leave the theaters empty and refuse to recognize the legitimacy of corporate-backed institutions and organizations on both national and international levels. Instead, find local solutions, pursue self-sufficiency, self-reliance, and leverage technology to do for ourselves tomorrow what we depend on corporations to do for us today. We can start today, by simply “voting” local with our wallets, “voting” to read, watch, and listen to truly independent media instead of Hollywood – or better yet – creating our own content ourselves. The same could be said with the news. Stop humoring the professional liars on BBC who get caught in serial scams involving paid-for documentaries, biased reporting, and flat out lying to their audience. There is a thriving alternative media that already proves the merits of doing more, doing better, and doing it all ourselves. “They need us, we don’t need them. That’s the big secret. We get our freedom back as soon as we take back our responsibilities for food, water, security, the monetary system, power, and manufacturing; that is independence. Independence is freedom, freedom is independence. We’ll never be free as long as we depend on the Fortune 500 for our survival. Darin, do you have a reachable site?